The end of your marital relationship doesn’t spell the end of your relationships with your mutual friends. It might seem daunting or confusing, but maintaining healthy connections with the people in your life is part of moving forward. If you’re interested in getting over a break up, this article is for you. Divorce is between you and your former spouse — mutual friends are definitely feasible post-divorce! Divorces, even the most amicable ones, can place a serious strain on mutual friends. If your first inclination is to try to “divide up” your mutual friends, try to think positively. True friends respect each others’ choices. The more you attempt you try to persuade mutual friends to take sides, the more stress you put on your relationships. Remember why you’re friends in the first place. You enjoy each other’s company — keep it that way! Think about it from your friend’s perspective. That person wants to remain friends with both you and your ex. It’s better to keep the drama and gossip of your previous relationship away from mutual friends. Not only does gossip always come back to haunt you, but you’ll garner a lot of goodwill by keeping it respectful. Focus on enjoying the friendships you’ve made over everything else. Take a deep breath. It’s unlikely that you’ll remain friends with everyone in your mutual friend circle. 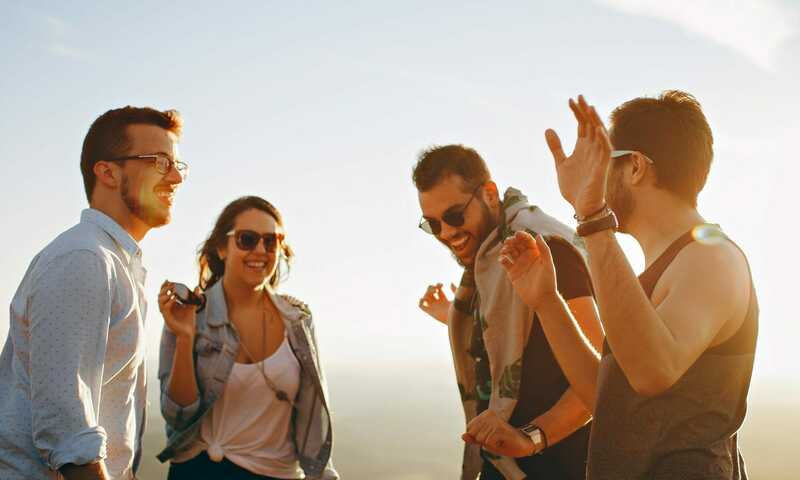 It’s perfectly normal and healthy for some friendships to be contingent on “pairs” — you and your ex, for example — so don’t fret if some friends drift away. We all have people in our lives that naturally fade away; it’s a part of life. In that same vein, don’t expect to remain amazing friends with your ex’s best friend! Your friends will naturally gravitate towards their preferred relationships. Let it happen and enjoy the relationships that you keep. It might be a bit of a cliche, but communication really is key. If possible, communicate with your mutual friends to see if your ex will appear at social gatherings. Ask yourself if you’re okay with seeing your former spouse at a social event. If you’d rather limit contact, that’s great — you should feel zero pressure here. If you’d prefer to live completely separate lives, communicate that to your friend group. After all, your friends are autonomous, intelligent, and capable people. Make it clear whether or not you’d like to see your ex at events. Your friends will keep you in the loop. Of course, if possible, sit down with your former spouse. Discuss which friendships you know you want to keep. If your ex is adamant about ‘splitting’ friends, keep an open mind and communicate your wishes clearly. Above all else, be adaptable. After a breakup or divorce, mutual friends will inevitably shift. Some relationships will end, some will become stronger. Stay flexible and realize that your friends are independent people with lives outside of your breakup! Let them live their lives and enjoy the friendships you have. Likewise, remember that even the best of friends may make mistakes. If you have an understanding with your mutual friends that you and your ex don’t want to meet at social gatherings, be flexible. Communication mishaps, confusion, and plain forgetfulness might have you wind up at the same party as your ex. Stay positive, be respectful, and good things will happen. It’s not easy getting over a break up. The best way to deal with mutual friends is to communicate your wishes to them regarding you and your ex. Avoid making your friends pick sides, stay positive, accept your losses, and be adaptable. Follow these tips and continue enjoying years of healthy friendships with your mutual friends!